Abu Dhabi likes to see itself as a global capital of renewable energy – but its ventures into sustainability are built on oil riches, which the country is not prepared to give up. Hypocritical? Perhaps, but it’s a hypocrisy shared by the rest of the world. 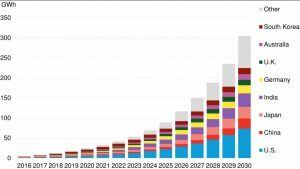 Most countries and companies are pursuing an energy transformation which at the same time they are kicking down the road. And yet, writes Energy Post editor Karel Beckman in a reflective essay after a visit to Abu Dhabi’s annual Sustainability Week, one day the oil companies may come to regret they have no plan B. The drive through the desert to the concentrated solar power plant Shams-1 takes two hours. By bus, that is. By Lamborghini the 130 kilometres distance from the Capital to the South West of Abu Dhabi no doubt fly by a lot faster. But here in the desert – unlike in the glittering capital city – you don’t see many Italian racing cars. Mostly four-wheel drives. And trucks. Long lines of trucks. The Abu Dhabi economy is humming along nicely. The reason Shams-1 – one of the largest CSP plants in the world – was built so far away, had to do with existing infrastructure, so our hosts tell us – a party of Western journalists who are taken by majority owner Masdar for a tour of Shams, as part of Abu Dhabi’s annual Sustainability Week (18-25 January). Gas and electricity distribution systems were there for Shams to be connected to. But the wild location does add to the plant’s mystique. At first glance, Shams seems to be quite a success story. It makes for a good story anyway: 258,048 parabolic trough mirrors with a capacity of 100 MW produce 210 GWh of carbon-free solar electricity every year. The gleaming facility has the size of 285 football fields or 100 Sheikh Zayed mosques. Five trucks with robotic arms remove the dust from each single mirror twice a week. A closer look reveals some cracks in the mirrors, however. As it turns out, Shams does not run fully on solar energy. It needs natural gas to run a booster heater that increases the temperature of the steam – which drives the turbine of the plant – from 380 degrees Celsius to the required 540 degrees. Fully 20% of the facility’s electricity production comes from gas. Then our hosts tell us they do not disclose the generation costs. According to an old Bloomberg story, construction costs were $600 million. Costs are perhaps not that relevant for a pioneering facility like this one. What is more disturbing is that we hear that no decision has been made yet on whether there will be a Shams-2, let alone a Shams-3, as the original plan had foreseen. In the meantime, Abu Dhabi has started on the construction of 4 new nuclear power reactors with a total capacity of 5600 MW. Shams-1, by the way, supplies 0.5% of electricity in Abu Dhabi. The valiant but somewhat futile Shams project seems symbolic for the schizophrenic nature of Abu Dhabi’s energy situation. Abu Dhabi spares no expense to boost renewable energy. 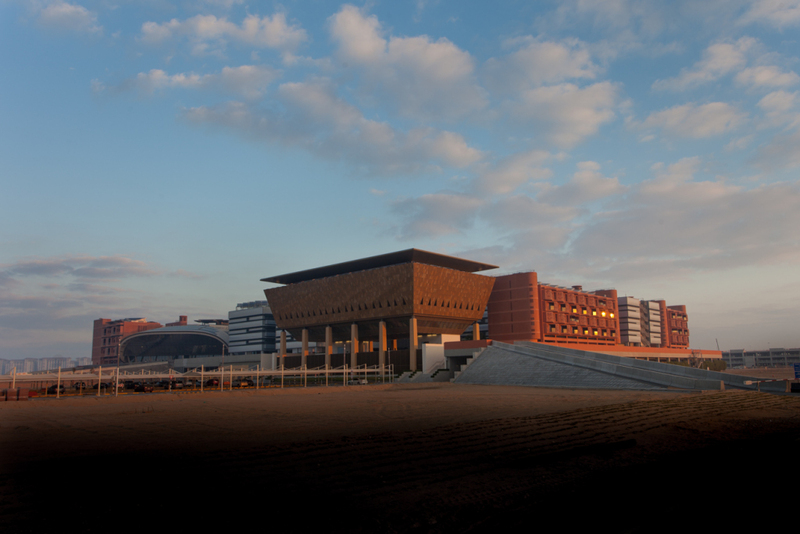 It boasts the famous sustainability showcase Masdar City. The government-funded Masdar company invests hundreds of millions of dollars in renewable energy projects around the world. Abu Dhabi is also host to IRENA, the International Renewable Energy Agency, a global UN-acknowledged promotor of renewable energy investment, which already has 124 member countries. 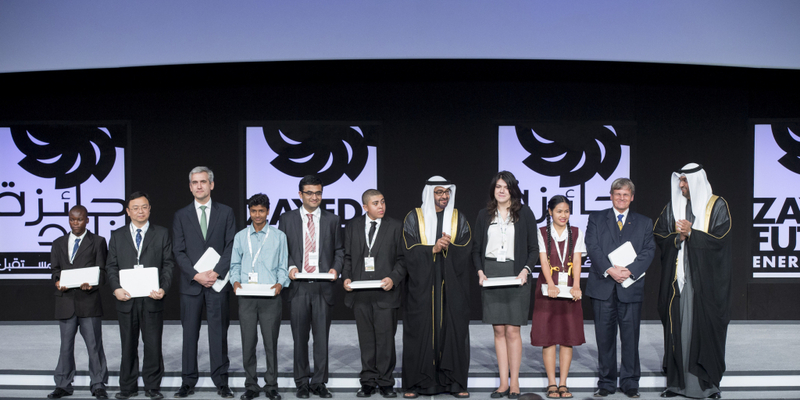 It is also host to the annual World Future Energy Summit – one of the biggest renewable energy exhibitions in the world – and sponsor of the Sheikh Zayed Future Energy Prize that has grown into a kind of Oscar award ceremony in the renewable energy sphere. The facts on the ground, however, tell a somewhat different story. Abu Dhabi has virtually no public transport. It has subsidized ultra-low gasoline prices. It has one of the highest CO2 emission rates per capita. And it has oil. Each and every day, the country pumps up 3.3 million barrels of fossil fuels. So how serious are we to take Abu Dhabi’s efforts to create a sustainable energy future? There is no reason to doubt the sincerity of the leaders’ motives. The government also no doubt puts serious money into the promotion of renewable energy and energy efficiency – both at home and abroad. Yet at the same time it continues to invest in oil production and enhanced oil recovery. It surely has no intention of keeping its 98 billion barrels of oil in the ground where they are sitting now. Or, for example, to significantly raise energy prices for its citizens. Here’s the dilemma for Abu Dhabi: without oil and cheap energy, it could not support its economic growth. And it could not afford to invest in alternative energy the way it’s doing now. Of course it is easy to laugh at the little Oil Kingdom on the Gulf, promoting sustainability with its four-wheel drives and Lamborghini’s – but think again. Aren’t we all in the same boat? Aren’t virtually all countries in the world just as hypocritical: promoting renewables while at the same time continuing to invest in, rely on, or subsidize fossil fuels? Isn’t the US? China? Even a country like Germany, world leader in renewable energy, desperately hangs on to its coal and lignite. In truth, the world seems to be groping for an “energy transition” which is – if you look at it realistically – nowhere in sight. 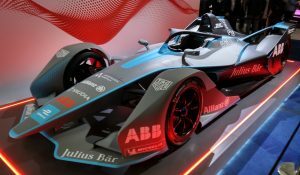 The slogans brandished about by the French energy management firm Schneider Electric at the World Future Energy Summit in the Abu Dhabi National Exhibition Centre tell the story. Sustainability has become trendy. Who can afford not to appear “sustainable” these days? Tellingly, at the large show in Abu Dhabi dedicated to “future energy”, all the big oil companies are present, with large booths. Shell, ExxonMobil, BP. Even the Kuwait Oil Company is there, as is Kazakhstan (“Discover the Energy of Kazakhstan”). Is this progress? Or does it show that sustainability has become a catch-all concept that anybody can exploit for its own purposes? Certainly no one could ignore the idea of sustainability today. Keryn James, CEO Asia Pacific of the large Australian consultancy firm Environmental Resources Management (ERM), who is a “sustainability advisor” to multinational companies around the globe and with whom I have a chance encounter in one of the big exhibition halls, says that the days are past when sustainability was the responsibility of a dedicated manager. Nowadays, she says, it is one of the top corporate issues to be dealt with at the highest decision-making level. “Chefsache”, as the Germans say. The US government actively promotes R&D and demonstration projects to push technologies forward and lower costs, said Moniz. He gave several examples. “Through a loan guarantee program we supported five utility-scale PV projects. Now ten more are going forward. Also in the next three months we will commission two very large CSP plants both of which are equipped with six hours of storage. This will help tremendously to integrate solar.” Incidentally, Moniz noted that the US government is also still trying to promote the building of new nuclear power plants through a loan guarantee program. “The performance of nuclear plants in cost and scheduling will be a critical issue that will determine the future of nuclear energy in the US”, he said. On a global scale, the International Renewable Energy Agency (IRENA) – the originally German initiative that found a home in Abu Dhabi and now has 124 member countries with 43 more waiting to accede – also seems to be gaining serious traction. In January it launched its Global Renewable Energy Roadmap (REMAP) which helps each member country to map out its own path towards a sustainable energy future. The overall goal is to double the share of renewable energy by 2030 to 36%. At a lunch in Abu Dhabi during IRENA’s fourth Annual Assembly – which was attended by over 1,000 delegates from 167 countries and more than 120 organisations – Frank Wouters, the Deputy Director General of IRENA who until recently was head of Masdar Power, explained that the drawing up of REMAP had been a Herculean effort. 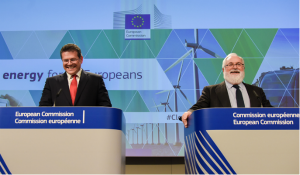 “We found that when we added up everything that countries were doing to stimulate renewable energy, we did not even come close to our target of doubling its share. We then had laborious discussions with each member country to see how we could improve matters – without being too prescriptive. We did all the numbers and calculated all the costs for them so they can see what they are up against. Actually, we found that additional costs were not all that large.” The biggest practical obstacle that Wouters said came out of the exercise is “to find a solution for sustainable biomass”. Wouters optimistically noted that what REMAP adds up to is “a real transformation”. He acknowledged, though, that countries have not signed up to the REMAP program. It’s all voluntary in the end. Here of course is where practical realities kick in. Most governments do undertake efforts to promote renewable energy and energy efficiency. At the same time they are not doing anything to discourage production and use of fossil fuels. On the contrary. Moniz, the US Energy Secretary, admitted as much in his speech: he said the US government, for all its support of renewable energy, will also continue to invest in fossil fuels. The same goes for the big energy companies. Indeed, companies like BP and Shell have largely withdrawn from renewable energy over the last few years. ExxonMobil never was much interested, except for its algae project. Total is an exception: the French oil major is investing heavily in solar power, both in PV and in CSP. If you tell the big oil companies they should not be exploring for new reserves but instead put their money into alternative energies, they will tell you that such a course of action is simply not possible, given the huge demand for energy in the world. The line they have taken is that if we want to do something about greenhouse gas emissions, the way to go is substitute gas for coal. Christof Rühl, Chief Economist and Group Vice President of BP, who is responsible for BP’s annual Energy Outlook and the annual BP Statistical Review of Energy, said in Abu Dhabi that renewables have a long, long way to go. “If you are serious about reducing emissions, you need to switch from coal to gas”, he said. Rühl said his team had done some hard calculations. “Coal and gas each account for roughly a third of the global energy mix. Renewable energy is good for 2.4%. If you replace 1% of coal by gas that’s equivalent to an 11% increase in renewables.” This option, however, was not very often discussed, said Rühl, because certain vested interests don’t like it. Wim Thomas, Chief Technology Officer of Shell, came up with a similar reality check in Abu Dhabi. 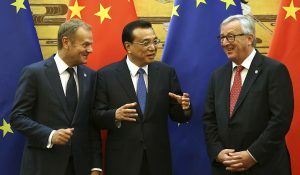 “People are beginning to realize their jobs are on the line”, he warned, referring to the high energy prices in Europe. He noted that many people believe that “when you get large-scale renewables, it will bring down fossil fuel prices. Personally I believe you need high fossil fuel prices to make the transition possible.” He also noted that governments are often very dependent on revenues from fossil fuel activities. Certainly companies like BP, ExxonMobil and Shell don’t seem too hot on renewable energy. ExxonMobil loses no opportunity to insist on the importance of “energy efficiency”. It does not invest in solar or wind power. Shell over the past decade made forays into solar power, second-generation biofuels and offshore wind energy, but in each case decided it was not their thing. 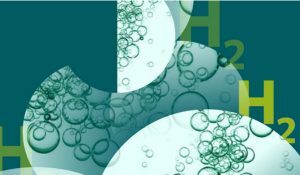 The company is only active now in first-generation biofuels in Brazil and in hydrogen. Is this a sustainable strategy? Now that Shell is increasingly being pushed out of the “easy oil” plays by national oil companies, has had to write off over $2 billion in the US shale sector, has decided to halt its activities in the Arctic after having wasted $5 billion there, and the new CEO Ben van Beurden has said he will divest any activity that’s not sufficiently profitable, it makes you wonder what Shell thinks its own “energy future” will look like. The company may yet regret that it does not have a plan B. But that’s their problem, you might say. Our problem is what the world’s energy future will look like. 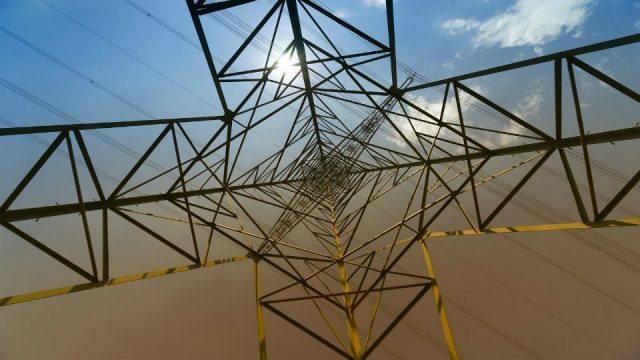 Can the “energy transition” ever become a truly disruptive force in the world? If so, how? Daniel Kammen, Distinguished Professor of Energy at the University of California, Berkely, who spoke in Abu Dhabi at the same session that Wim Thomas did, had a decidedly more bullish outlook on renewables than Thomas or Rühl. “We can see renewable-dominated systems emerge, not in 2050, but earlier, in the next few decades”, he said. He mentioned California and Germany as the prime examples. According to Kammen the transition is in the final analysis what he called a “policy choice”. “Policy is key right now”, he said. As an example he mentioned that the State of California has mandated utility companies to develop storage capabilities. “Do we need this storage now? No. But if we build it now, we will have it when we need it.” He was also positive about the cap and trade system California has introduced which has established a carbon price with a floor price and a ceiling. Another breakthrough may come in the form of second-generation biofuels that the Masdar Institute is working on, in cooperation with Boeing, Honeywell and Etihad Airways. According to Boeing, research has shown that it is possible to grow plants (halophytes) in the desert that can live on salt water and that have an enormous potential for biofuels production. We reported on this development here. What we did not report in our story, but which is interesting to note in this context, is that the Abu Dhabi National Oil Company (ADNOC), is also heavily involved in this project. According to Darrin L. Morgan, Director Sustainable Aviation Fuels and Environmental Strategy at Boeing, “there isn’t another example of that – a sovereign owner of a significant part of the world’s oil, leveraging its economic and technical abilities to drive a disruptive technology that in the US is seen as a polarizing political issue and is stalled.” Morgan notes that “oil companies are not generally helping aviation” to make a transition away from oil, with the exception of ADNOC and Total. And then there is Masdar City. We have not talked about this yet: the famous “city of the future” which is being built not far from the Abu Dhabi airport and which is supposed to become a model for the “smart cities” our fast-urbanizing world desperately needs if it is to be a sustainable world. You no doubt have read reports of Masdar City before (here is a good recent one). When it first got started in 2006, the sky seemed the limit – but the current reality is rather disappointing. The goal is to have 40,000 people live in Masdar City and 1500 businesses to have their offices there, but so far it is not much more than a small cluster of buildings in a corner of the desert. I was warned that “if you want to take a taxi out there, the driver may not know where it is”. The buildings as such are quite nice, but they do not seem to be all that revolutionary. The architects have devoted a lot of attention to climate design – avoiding exposure to direct sunlight for example and maximizing exposure to the wind – with positive results: they use more than 60% less energy than comparable office buildings in Abu Dhabi. 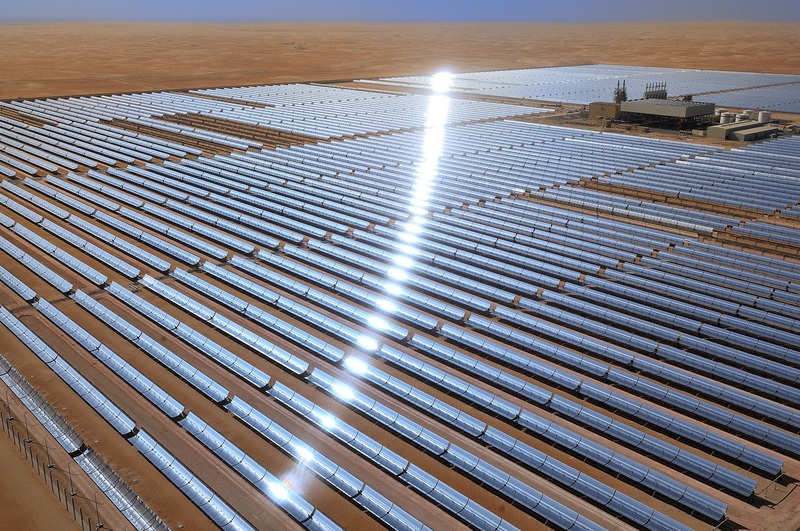 There is a 10 MW solar PV installation that produces as much electricity as Masdar City uses. But that’s about as far as Masdar City has progressed. Nobody is living there yet except some students. Despite the zero taxes that the city offers, few companies have moved in so far. General Electric has opened an “EcoMagination” centre in Masdar, “the first in the world”. This sounds impressive, but on closer inspection it turns out to be nothing more than a bunch of fancy displays that you are likely to see in any modern science museum (or in Disney World). As to the PV installation, we were told that as the city grows further, it has no intention to build a microgrid or become fully energy neutral. Yet, having said all that, it is certainly too early to write off Masdar City as a failure. With the worst of the economic crisis over, there are signs that development is picking up. 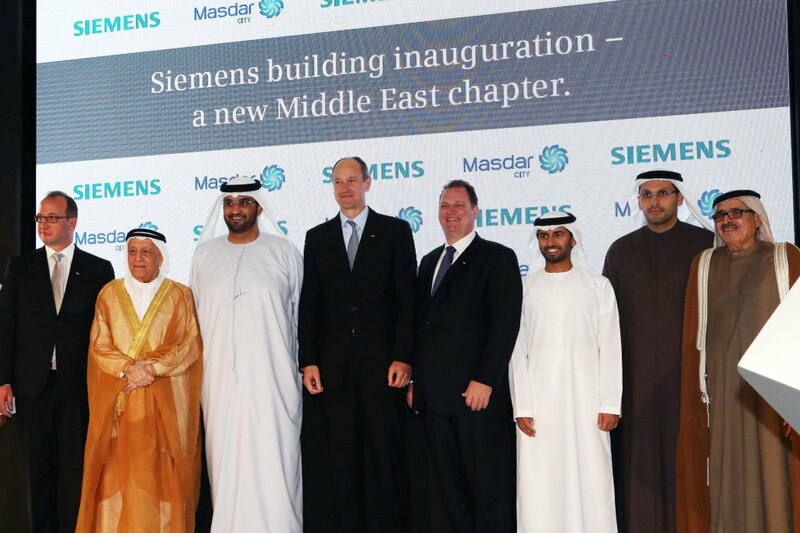 Siemens chose Abu Dhabi Sustainability Week to officially open its new Middle East headquarters in Masdar City. The German engineering company will move in 800 people there. Other companies may follow. The Masdar Institute is conducting serious research there with the support of MIT in the US. What is more, anyone who has been to Abu Dhabi knows that the resolve of the country’s leaders is not to be underestimated. Masdar City is only at a tenth of where it will be in the end, we were told. What you see now is only a start. But there is an even more important point to be made about Masdar City. It has also served another purpose. As Adnan Amin, Directory-General of IRENA, put it at a press conference in Abu Dhabi: Masdar has “raised awareness” in a region that is generally not known for being too aware of energy efficiency or renewable energy – or climate change for that matter. “Awareness” is undoubtedly one of the least quantifiable and most unpredictable factors in the energy transition. It may not make a difference at all – or it may make all the difference. 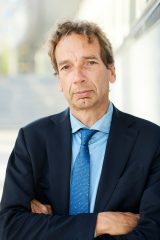 Ad van Wijk, Professor of Future Energy Systems at the Technical University of Delft in the Netherlands, and the author most recently of a book entitled “Our car as power plant”, perhaps said it all when he said at one of the sessions: “The energy transition is about you and me who can change the world”. On the plane back from Abu Dhabi, reflecting on all I had heard and seen, I got into a conversation with a fellow passenger – a Canadian Muslim who worked in the construction industry in Saudi Arabia. We talked about our beliefs and he told me Muslims watch for small and large signs indicated in the Koran which foretell The End of the World. He said one of the large signs Muslims are watching out for was when Arabia will once more be covered with forest and rivers, as it was in prehistory. If that happens, he said, Judgment Day is close at hand. He may be right, I thought. One day when the deserts are gone and forest and rivers will take their place, it may be the end of the world. And the beginning of a new one. Thank you for this lengthy, most objective and revealing review of your visit to Abu Dhabi. Something must surely have gone seriously wrong during the final design and construction of Shams-1 for it to require gas to raise the steam to the turbine design temperature of 540°C and so be required to deliver 20% of the final electricity with what must be an appallingly low gas to electrical efficiency; just guessing but 30% at best? So what is Shams-1 except a hugely expensive feedwater heater for a highly inefficient gas-fired power plant costing $6000/kW? I guess you are right, there will be no Sham-2! At least, not employing parabolic mirrors in this way! In the normal course of events, if one must use gas to generate electricity by modern transformation technologies, one would aim for 40% at least and much better if possible (60% is achievable in a modern CCGT) at a price that is a good deal less than $1000/kW. In fairness, this feature is admitted at http://www.shamspower.ae/en/the-project/technology/how-shams-work/ but I believe the overall transformation efficiency is not mentioned. That would be really embarrassing! I don’t suppose the robot mirror cleaning is carried out by electricity! What a truly embarrassing example of good money wasted! I guess this is the first (and maybe the final) nail in the coffin of this type of CSP! Karel, this is an excellent summary of energy dilemmas, paradoxes and hypocrisy. The truth is often not that popular. We are at the beginning of an energy transition. Why? It is fundamentally important to understand why. All past “energy transitions” have been additive not replacive. Coal got added to wood, windmills and water wheels, then whales were added for a while, then oil then gas and nuclear. Past energy transitions have come about by market forces, always moving towards “higher quality” energy sources. We live in unique times where we now have one substantial group who believe they can orchestrate and plan a “new energy transition” towards high tech versions of 17th Century energy sources (excepting solar PV) that are on multiple levels inferior to what we have right now – David MacKay in the lead. It is interesting to note that UAE are building 4 nukes. They will need to educate fine engineers and nuclear physicists to run this. This tells you they know where reality lies. They are going to stop burning oil and gas to make electricity to save their oil for export markets and to convert into jet fuel. Great story. The Shams (poetic name) 1 CSP would produce about 1600 kw-hrs. per kw without the natural gas push. This gives a capacity factor of 0.18, the same as desert areas in the U. S. This gives an electricity cost north of 30 cents per kw-hr. I visited Solar One, a ten MW CSP in Barstow, CA back in the early 1980s. As a retired Georgia Tech engineering professor I was given royal treatment by the engineers on a tour. I asked the cost of electricity and was told they were not allowed to give out the figures. I guessed $1 per kw-hr. and was told that was a good guess. The facility, part of the Carter administration push on renewable energy sources of solar and biofuels, was shut down after 8 years of operation. Probably $100 million wasted. This push for renewables was driven by fear of fossil fuels running out. With no environmental fear to push renewables, their success in times of abundant fossil fuels will be on their true economics. They are not economic with present technology. Continue to waste money on solar and wind farms is not practical. These objects have operating lifetimes of the order of 25 years in comparison to their competition of coal, gas, or nuclear power plants with operating lifetimes of 60 years. So any solar or wind plant built today will be junk in 25 years. The world has had marvelous technological changes the past 125 years. Continue research on replacement energy sources for fossil fuels that may run out in a couple hundred years. When the economics is good for a replacement energy sources, then start adopting these new sources that I don’t have the nerve to even imagine. about CSP and intelligent solutions for high temperature countries some my suggestion following. My study and solutions allow to change electric generation from fossil to renewable sources at “0” cost with a 30 Years result over 600% as demostrate in OFEES projects (Oil Free Electric Energy Strategy). Following some my case study and projects, over info about OASIS and GRID-PA. OASIS is a giant project to food self sufficiency in arid semi-desertic area. GRID-PA is the PV solution with lower MWh cost, solving problems of high temperature and dust in some world area, everywhere with many plus VS traditional PV, CPV, CSP. Italy, Malta, Tunisia, Morocco, Libya, Botswana, South Africa, EAC (East Africa Counties), Ghana, Egypt, Nigeria, UAE, Qatar, Saudi Arabia (link), Bahrain, Yemen, Oman, Jordan, Azerbaijan, Iran, India, China, Maldives, Hawaii, Mexico, other, getting first interest in technologies, solutions and OFEES from Maldives, Botswana, Malta and other countries in Middle East and Africa. GRID-PA and OASIS are the smarter projects and solutions today for environmental and economic grow and self sufficiency for Energy and Food of many countries. “OASIS” (spec. inside “OASIS for KAEK” doc.) part of OFEES in some country, with disseminate production eliminating long electric line and not ecologically Food transportation. GEA PV solution with many plus, minimum MWh cost and simple to manage with an esteemed life over 30 Years with <11% avg decay in the period, having water saving plus “for free” and minimum degradation. For Land and Water, in any case “the future solution in solar technologies” with best performance and low complications, lower CAPEX and OPEX cost, about the half cost (included Storage system) of CSP technology. Waiting for your opinion and feed back.